H&N Perry’s commercial property management department has been experiencing an increase in business activity over the winter months. There are many new businesses seeking quality floorspace to start their new enterprises. 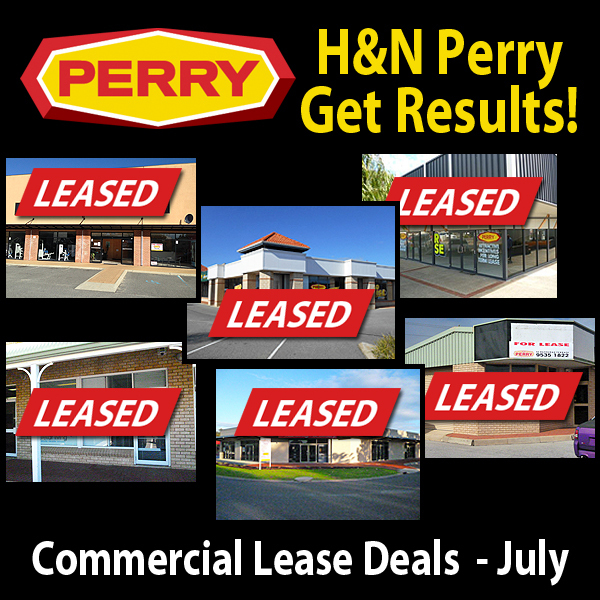 H&N Perry have secured 6 new tenants during July alone. Retail, office space and warehouses are all achieving high demand. Unit 2, 17 Gordon Road, Mandurah offering a massive 551m2 floorspace, has been leased to new sports retail store – Sports Power, whilst Shop 8, 4 Guava Way, Halls Head has been secured by new fashion retailer – Lozzy’s Ladies Fashion. This cluster of shop fronts, located at the gateway of Halls Head Centro are filling up fast creating a very busy shopping hub. All Class Group Fitness are another new business to Mandurah. H&N Perry have secured them a lease at 56 Reserve Drive Mandurah, a huge 660m2 showroom where they will be offering group fitness classes to the residents of Mandurah. A smaller showroom of 122m2, Unit 41 Gordon Road will soon be occupied by Ministry of Hound – a new pet grooming business. To complete our busy month, Community Solutions have taken a lease at Shop 17, The Plaza Mandurah Terrace. This 235m2 office space is in a highly desirable location right in the centre of Mandurah. And finally, H&N Perry have secured a lease for Prouse Accountants at 5, 16 Sutton Street. This compact 52m2 office is also centrally located. H&N Perry are Mandurah’s leading property managers. We have been managing commercial property in Mandurah for over 60 years because we get results. Whether you are seeking somewhere to locate your business or someone to manage your property – you can rely on H&N Perry. Call Brian Matthews or Jan Wiley today on 9535 1822 and let us help you. Welcome To Mandurah – Chloe’s Klips! 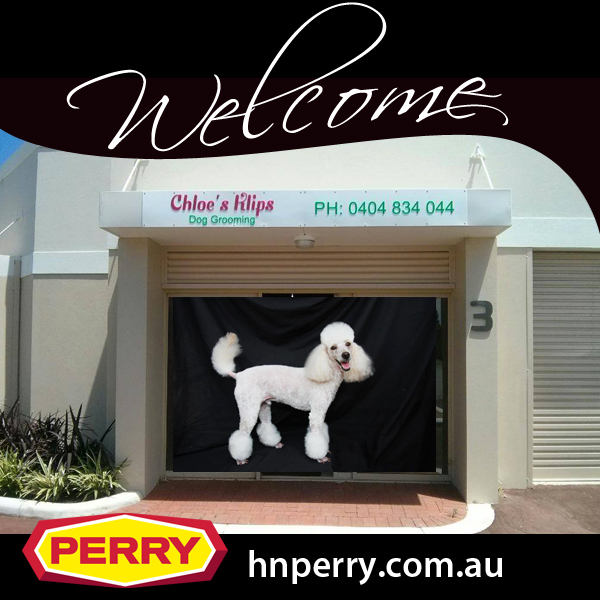 H&N Perry would like to extend a warm welcome to Chloe’s Klips who have recently opened at 14 Rafferty Road, Mandurah. Chloe’s Klips provides a professional dog grooming service for all breeds and sizes of dogs. Business owner, Chloe is fully qualified through WA Clipping and Dog Grooming Acadamy and has a wealth of experience with nervous and anxious dogs. There are many happy customers at Chloe’s Klips who rave about the excellent service their pets receive. Mandurah dog owners will benefit greatly by the addition of this business to the community. Chloe’s Klips new premises at 14 Rafferty Road is an ideal location for this local business. With direct access off Mandurah Road close to the Mandjoogoordap Drive entrance roundabout there is a healthy flow of traffic past their front door. The newly renovated showroom has a very pleasing facade with the ample carpark accessible from two sides. The 89m2 unit is also offers airconditioned comfort. H&N Perry were instrumental in securing the lease of this building to Chloe’s Klips. Our Commercial Property Managers have been experiencing increased interest in commercial properties for lease, including retail showrooms, industrial and office space. 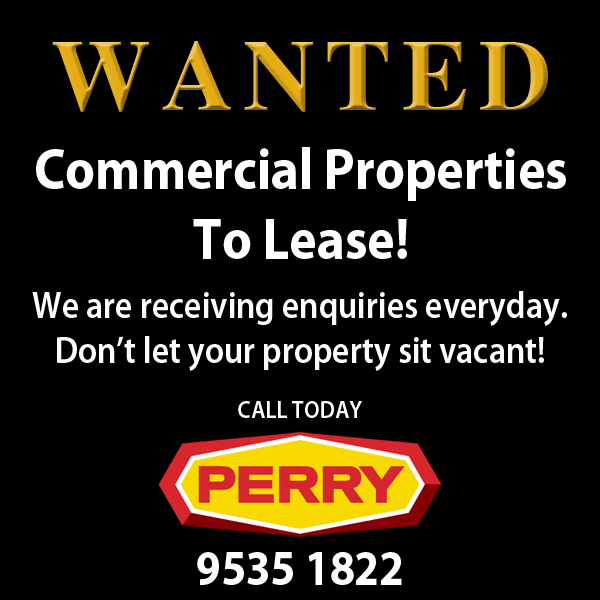 If you’re commercial investment is sitting vacant call H&N Perry, the commercial property specialists today on 9535 1822. Poolside Makes A Splash In Mandurah! H&N Perry would like to extend a warm welcome to BioGuard Poolside Mandurah who have recently taken on a lease at 6 Peelwood Parade, Halls Head. BioGuard Poolside is a well established business that specialises in the pool and spa industry. They are the largest stockers of premium brands such as BioGuard, BioLab and Hayward. They also boast using the most innovative technology to produce the fastest and most accurate computerised water analysis. There are currently over 50 Poolside stores spread across Australia and New Zealand. 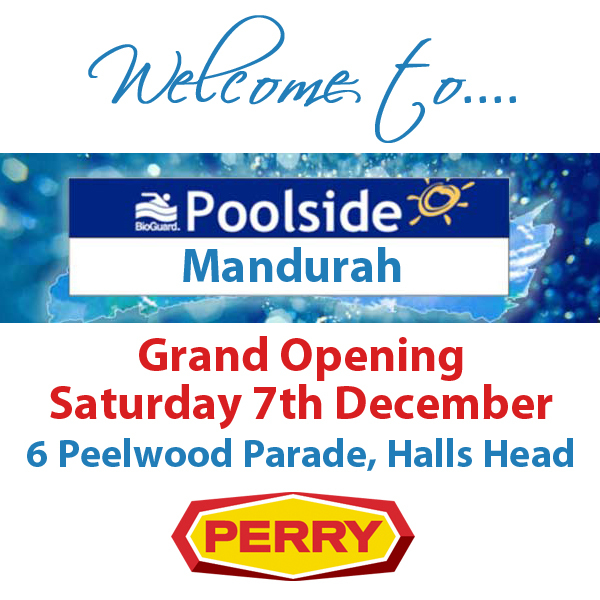 The new Mandurah BioGuard Poolside store will be celebrating their grand opening this Saturday 7th December at their new premises on Peelwood Parade. It is an ideal location for this store as Halls Head is Mandurah’s largest suburb with over 11,000 residents (and many with pools!). The showroom has an approximate floorspace of 199m2 providing plenty of room for their extensive range of stock. Customers are well taken care of with ample parking available and the luxury of airconditioned comfort inside. H&N Perry have a large range of commercial properties available to suit every business type. 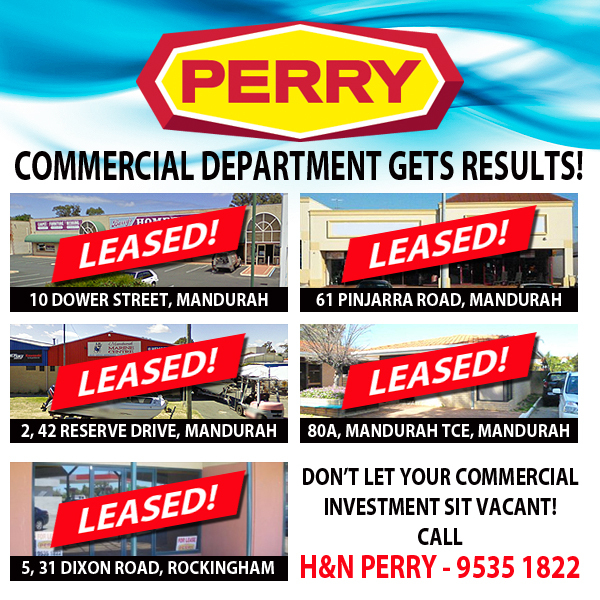 From retail and industrial through to office space and restaurants, if you’re looking for the ideal place to establish your business, call H&N Perry on 9535 1822. Our experienced Commercial Property Managers Brian Matthews and Jan Wiley will be able to assist you.